The Office of Educational Opportunity and Enrichment Services houses a number of centers, programs and services designed to support student learning, enhance the student experience and foster strong communities where students feel empowered to achieve their goals. Transition assistance, support services and co-curricular opportunities are offered to all students, along with specialized support and advocacy geared toward various student communities. Find fresh fruits and vegetables, CalFresh enrollment assistance and get resources to help you find stable housing and financial security. Join the STEP family and build a strong foundation for success at UC Davis. 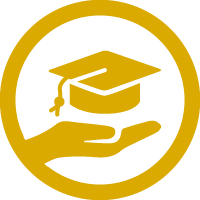 Learn more about how TRiO supports academic excellence, financial empowerment and community building for program participants. Foster a sense of community with other First of Many scholars & enrich your academic success. Engage in undergraduate research while exploring and designing a plan for graduate and professional school. Meet with a Success Coach to talk through and plan out your goals, big and small. Veterans, service members and dependents, start your benefits, reconnect, transition to the university and find your home at the Veterans Success Center. Connect with people, UC Davis resources, and campus culture and traditions by joining a First-Year Aggie Connection. Discover graduate and law school possibilities at Graduate and Law School Info Day. Meet with transfer staff and learn more about how the TRC can help you manage the transfer transition and achieve your academic, personal and professional goals.